Why are our phones making us miserable, and what can we do about it? It was well past 4 AM, and I couldn’t concentrate. My honors thesis was due in less than two weeks. I needed fifty pages, and I had started the night at twenty-nine. Six hours later, I only had thirty-three. I just couldn’t seem to get into the zone. Cognitive Dissonance, the tension that results from a difference between one’s understanding and one’s behavior, is something we all deal with at some point or another. I found myself grappling with it that hot summer night at 4 AM, trying to finish my honors thesis at the University of Houston. The subject of my thesis? The interaction between obsessive and harmonious passion, smartphone addiction, and life satisfaction. The tension? I couldn’t concentrate for more than half an hour at a time because I kept checking my phone. I knew it was bad, I just didn’t know it was that bad. 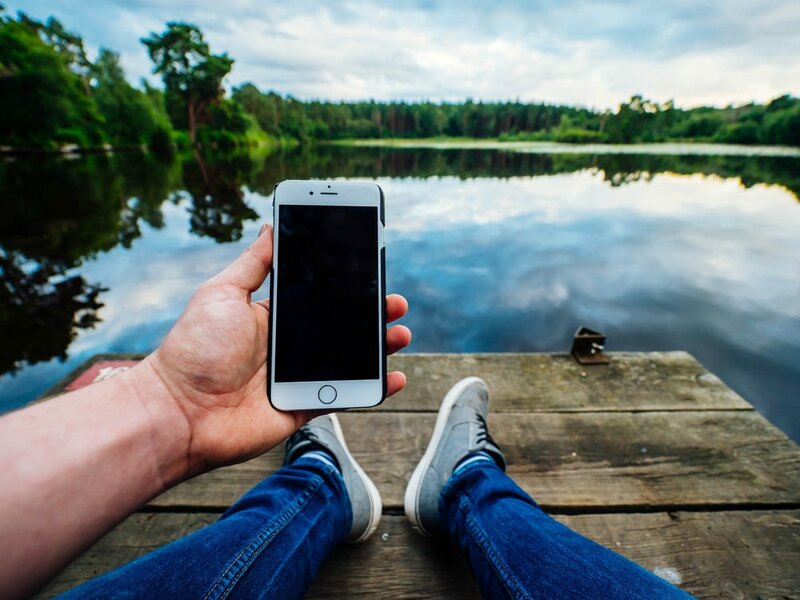 Smartphone addiction is not defined yet as an addiction in the Diagnostic and Statistical Manual IV, or DSM-IV, the definitive guide psychologists use for clinical diagnosis. However, the heart of behavioral addiction is an inability to control one’s behavior despite negative consequences. I had been experiencing negative consequences for a long time. Those around me, especially my girlfriend, had complained for years that I was always on my phone. I couldn’t help myself from using it at work, in class, in my car, or even in the middle of conversation. Like most humans, especially those of us who are male, I can’t actually concentrate on more than one thing at any one time. When I was on my phone during class, I missed valuable information. When I was looking at my screen during conversations, I wasn’t listening to my girlfriend. I could do better some days by exerting a lot of willpower, but eventually I would slip back into old patterns. That agonizing summer night, though, was the first time I fully understood how atrophied my ability to concentrate for extended periods had become. I know from my research I was not alone. While working as an assistant in a lab that examined the effectiveness of alcohol and gambling interventions, I was awarded the Summer Undergraduate Research Fellowship for an original study that examined the link between flow, passion, smartphone addiction, and life satisfaction. (Data from this study would later fuel my honors thesis) The results were stark, but by no means unique. People who scored high on the Smartphone Addiction Proneness scale scored lower on satisfaction with life, in a statistically significant correlation. That was reflected across the literature on the topic. Most college students check their phones 60-70 times a day, without receiving a notification. In some studies, more than half of participants admitted they were too dependent on their phones; two thirds said being separated from their phone would cause anxiety. While it is clear many people are good at balancing their smartphone use with the rest of their life, for many more, smartphone addiction is a problem. I discovered when I downloaded various apps to try to control my usage that I was consistently on my phone for three hours or more in a day- and that was less than most. Not to be dramatic, but this is a new and unique problem in the history of humanity. We’ve had screens that capture our attention before, but never interactive screens we can carry everywhere we go. Once smartphone use crossed the threshold of being used by more than half the population, researchers started noticing alarming trends. Young people are more depressed, more anxious, and less likely to interact face to face with each other. Jean Twenge wrote in the Atlantic that our youth are on the brink of a mental health crisis. Suicide rates among teens have been in Willy Wonka’s elevator since 2011, shooting straight for the sky. However, because the problem is so new, psychology has not yet formulated a coherent response. There have been a number of studies that attempt to define the issue, and a few that have advanced a theoretical framework for how smartphone addiction can occur. Because smartphones have so many different uses, it’s not an easy problem to get a clear picture of what is driving obsessive behavior. My study showed that the majority of people’s use fell under two broad categories, connecting with others and seeking information online. Many satisfied both of those needs on social media. As anyone who has spent time online can attest to, social media can be toxic in various ways. More granular information is needed to sus out the behavior different platforms reward, and how those behaviors can lead to addiction. What is crystal clear is that time on social media doesn't satisfy us the way face-to-face interaction does. The thing is, there is no going back. Humanity is inexorably plugged into an online network via our phones, and we can’t simply unhook ourselves en masse. To double down on the analogy, we are drinking from a fire hose of information. Some of us are drowning, and we can’t, or won’t, stop. We can’t dial back the clock to an earlier day; we have to learn to live with this technology, which is only going to become more integrated moving forward. Siri, Watson, Alexa, and Cortana are already in our homes, cars, and workplaces. What can be done? There are interventions for every kind of addiction. Surely there are tools that can at least ameliorate this self-imposed misery. There are apps on the market that use various tools to help curb use. I tried a couple of them, and they weren’t all that effective, at least for me. The issue is, I actually do need to use my phone. I pull tweets throughout the day for my night job, blogging about mixed martial arts; I use the maps and listen to podcasts regularly; and I need to stay in contact with my girlfriend so she doesn’t leave me. These are good, or at least, necessary uses; I can’t afford to hard-lock myself out of my phone during the day. The “soft lock” function on some of the apps, with a challenge to stay off my phone for a set period of time, was useful, but there wasn’t much incentive to keep at it. These apps, while somewhat helpful, weren’t designed by psychologists, nor were they contributing their data to the scientific community. In addition, they require payment to unlock their full features. There is nothing wrong with this, but the vast majority of people simply won’t pay for an app, even if it is just a few dollars. As it turns out, there is a better idea. It didn’t come from me; I came across it about a week after that 4:00 AM realization. Experiments in Korea found it much more effective than apps already on the market. The idea is very simple: place people in small groups and award them points for staying off their phones for set periods of time. The points from staying off one’s phone rank people within the groups, and rank the groups against each other. The simple act of putting people together in groups is profound- the combination of competition and social support helped people stick to their goals, and make much more significant changes than people using the same functions on their own. People in the social groups set more ambitious goals. They switched off during leisure time, not just to work or study. 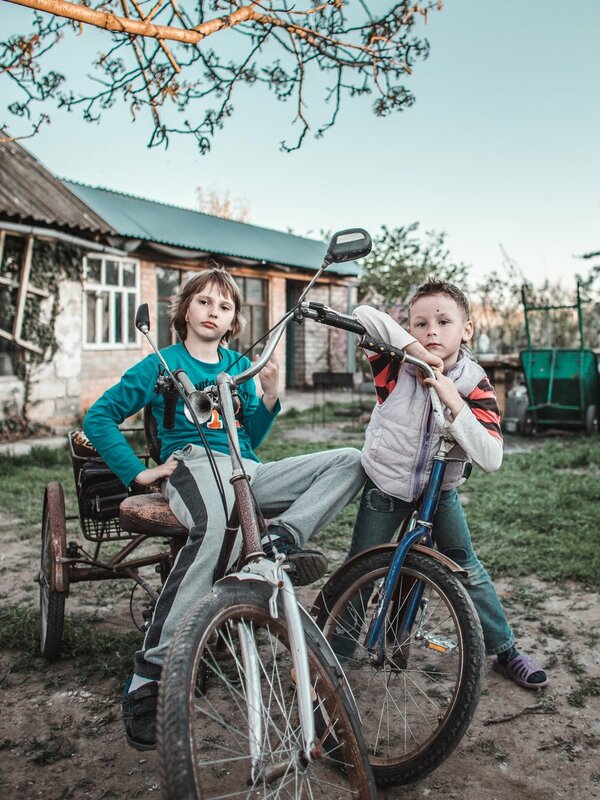 When families were recruited as the groups, parents and children reported that the cooperative model worked to bring the family together; instead of parents imposing controls on their children from above, everyone worked together to limit their use. Because parents had to participate, it gave everyone a sense of mutual accountability. It uses the power of social learning and support. People will be able to join anonymous groups online, or create their own group with family, friends, classmates, or co-workers. They will be able to see how they rank globally as well, giving context to achievement. It will contribute data to the scientific community, forming a platform to further study and understand the forces driving smartphone addiction for different people. It will be 100% free. This is extremely important to me, for two reasons. Firstly, any paywall puts a barrier on the number of people SwitchKick can help. Secondly, it wasn’t my idea, and I think charging people for a public good is unethical. I firmly believe that people will support an idea they believe in, so SwitchKick will live on crowdfunding. I am planning to launch the app on Kickstarter in January. People who contribute will have the opportunity to beta-test SwitchKick, as we test how to incorporate more advanced features, such as the ability to win points by setting a schedule and sticking to it, or staying off specific apps or social media during certain times. Consider donating to bring this project to life and be a part of the solution for the people, by the people. Until then, subscribe to our email list with the latest research and information on smartphone addiction. Newer PostWho is to blame for smartphone addiction?